← West Chester Film Festival Coming this Month! 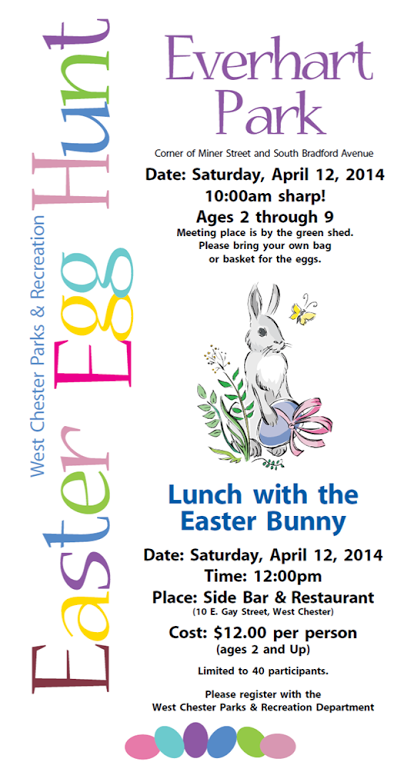 Join West Chester Parks & Recreation for the best egg hunt around at 10:00 a.m. on Saturday, April 12 at Everhart Park. The event is free to attend, just bring a bag or basket to collect some of the 4,00o eggs that will be filled with toys, candy, chocolate, gold dollars and more! Following the egg hunt, meet up at Side Bar (10 E. Gay Street) at noon for a fantastic lunch with the Easter Bunny himself! Lunch is $12 per person for ages 2 and up. Registration is necessary and can be made by calling West Chester Parks & Recreation at (610)436-9010. 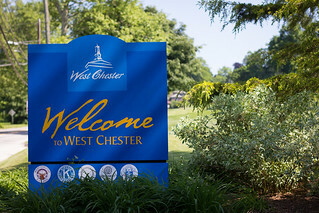 For more information on the event visit www.west-chester.com.